Park Lane, Blunham, Near Sandy, Bedfordshire. In around 1840 a number of members of the Old Baptist Meeting, Blunham, felt that they had to leave the church after a disagreement on doctrine. They continued to meet in an old barn until Mr. Robert Judd, draper, grocer and owner of the village general store, gave some of his land at the back of his house for a new chapel to be built. The building was finished in 1842, and "on the 18 of December the chapple wa s opened Mr Smart from Welling morning Mr Tite in the afternoon and evening was well attended Mr Thompson continued with us until the Lord was pleased to remove him to the Church Triumphant during wich time Lord was pleased to Bless his Labours among the church was established." Unfortunately, much of the church history has been lost. We have record of the few pastors at Providence: Mr. Thompson 1842, Mr. Fraser 1852 to November 1862, and Mr. Edward Short - at least until 1894. There is also uncertainty regarding the history of the present building, and what the doctrinal foundation or trust arrangements for the breakaway church and chapel were. The present Trust Deed dates from 1883, based on the Gospel Standard Articles of Faith. John Gadsby headed the list of founder trustees. As previously mentioned, the building in Park Lane was erected in 1842 on land donated by Mr. Robert Judd. 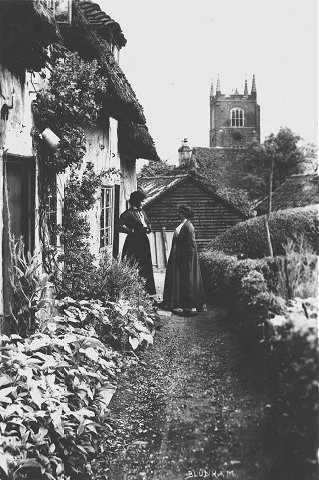 The building remained as originally built until in 1966/67 the old cottages that stood at the side of the chapel (known as 'The Snicket') were purchased from a Mr. B. Spavins at a cost of £1000, and demolished to form a car park. 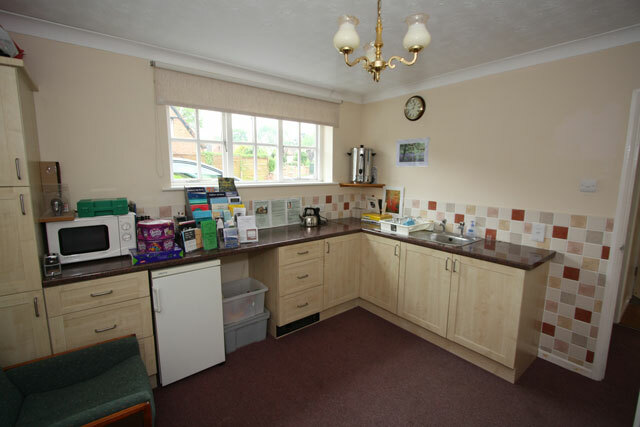 The properties were condemned as unfit for human habitation when purchased. Mains water was also laid on to the old vestry. Prior to this, the only supply of water was from the hand pump in 'the snicket'. 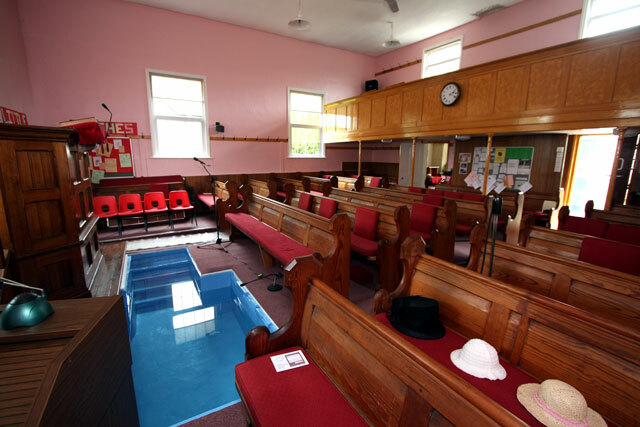 (It is interesting to note that as the chapel had a baptistry when built, a special arrangement was made to fill it. One of the down-pipes from the roof gutters was channelled to the baptistry, so that it was filled with rainwater. There was also an overflow to prevent the chapel from flooding!) Heating was provided by a tortoise stove in the middle of the chapel. This was a free-standing cast iron cylindrical device about a foot in diameter and 3ft tall with a flue pipe passing up through the roof. By feeding generously with coke it could be made to glow red hot! Not all of the old cottages were demolished. No. 6 Park Lane (Chapel Cottage) was left standing, and was lived in for several years by Mr & Mrs. Tom Farley. Mr. Farley was a minister. It has since been extended. In 1970, the original high small box pulpit was removed, and replaced with the rostrum style pulpit which came from Salem Chapel, Chatteris which had closed. 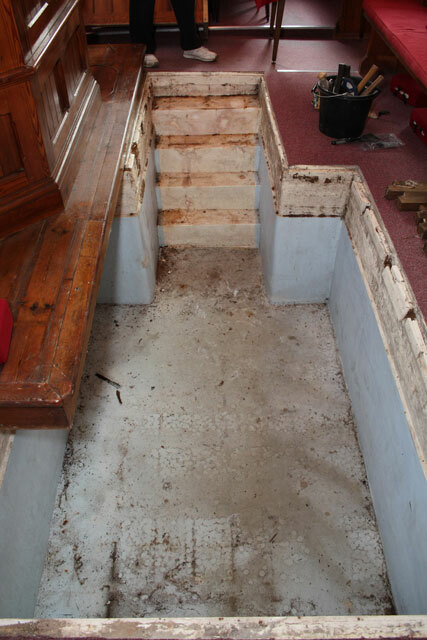 The original box pews was all removed from the ground floor of the chapel and replaced with pews originally from Providence Chapel, Oakham, Leicestershire. (J.C. Philpot's Chapel). The Chapel was completly redecorated by Townsends of St. Neots at a cost of £216.00. 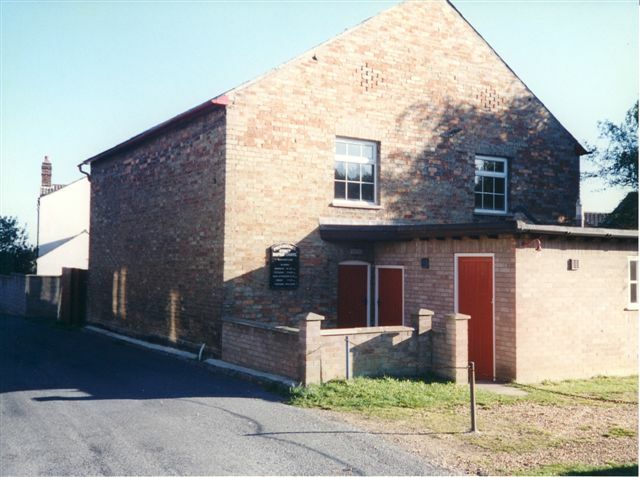 In the early 1980's the original vestry was demolished and a new extension built which included toilet facilities as well as the vestry. Prior to this, the only toilet was a privy to the rear of the chapel complete with wooden seat and slop bucket. In 1989 the Chapel was completely redecorated inside and out, by David and Mark Field of Eastbourne at a cost of £2,101.87. A damp course was put in on the road side wall in 1991 at a cost of £555.54. The council also installed a kerb. 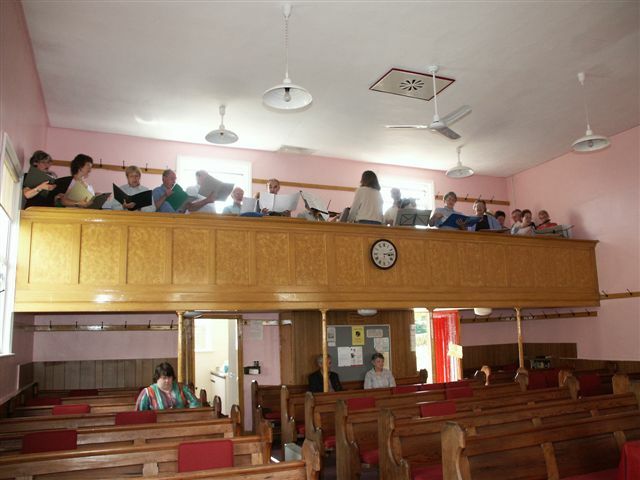 In 2001 a new public address sound system was purchased and fitted. This included fitting an induction loop system for the benefit of the hard of hearing. We added a CD recorder in 2006 and use this to make regular recordings of the services. We have recently redecorated the chapel, repaired the leaking roof, removed and replaced a third of the floor that had gone rotten, fully carpeted the floor, and added seat cushions to the pews. 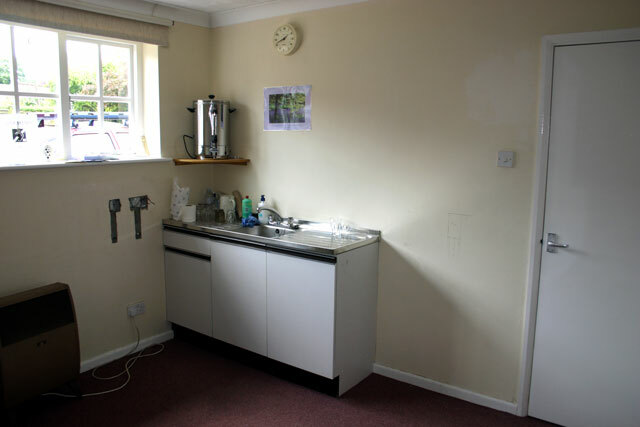 In May 2005, work started on fitting new worktop and units into the vestry in place of the original sink unit. 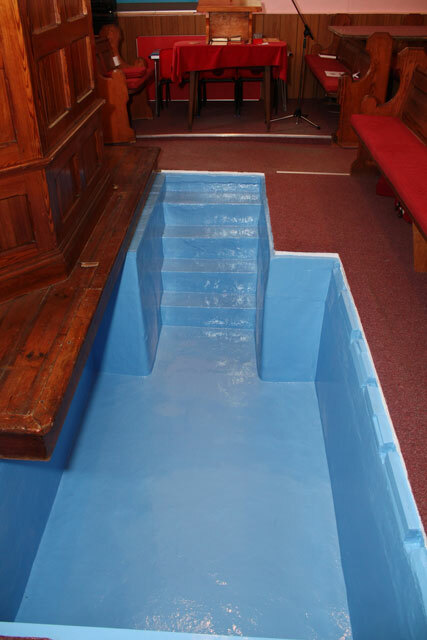 We have been working hard during April and May 2009 to repair, render, seal and paint the baptismal pool as this was in poor condition. 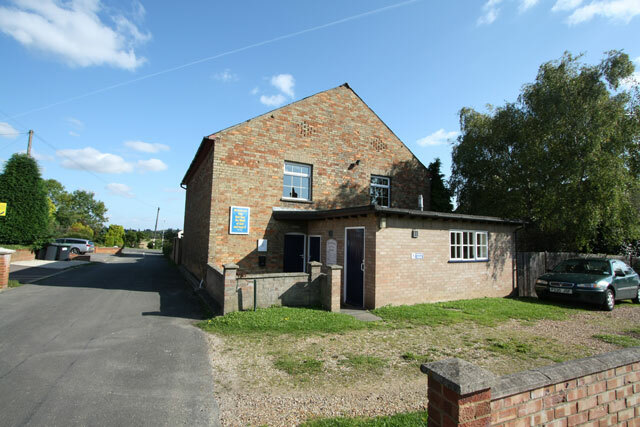 Currently the church membership stands at eight, following four new members joining at the beginning of June 2009. We are thinking about making the chapel more accessible for wheelchair users, as required by the Disability Discrimination Act 1995. This will involve removing part of the wall outside the chapel, laying a path from the roadway and constructing a ramp. Other necessary projects include replacing the remaining wooden floor as some sections are weak, and fitting new, brighter lighting into the chapel.